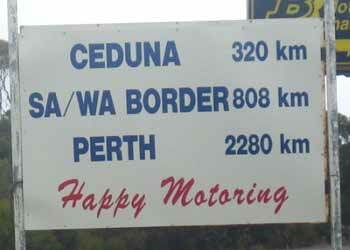 I remember reading in the Lonely Planet about Ceduna that it was 'still a long way from Adelaide'. The implication - you may think that you've done the West-East crossing, but you're still in for some long hours of driving. Great. We hadn't even got to Ceduna heading from East to West, but that would be the aim for today, even if it was only part of the journey (about one fifth). 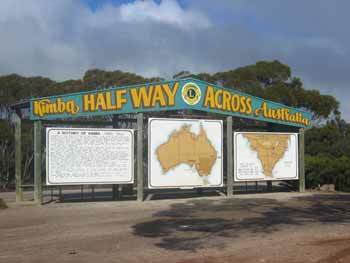 We did, however, reach our first milestone in the journey today - we officially crossed the half-way point across Australia at a place called Kimba. 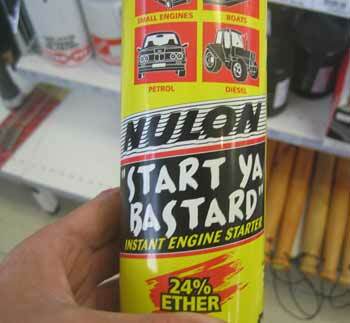 Naturally, there was a tourist shop selling 'half way across' type merchandise, but we weren't buying. We did spot the Big Galah, though - you may remember from previous diary entries that the Aussies seem to have a thing for these 'big things'. 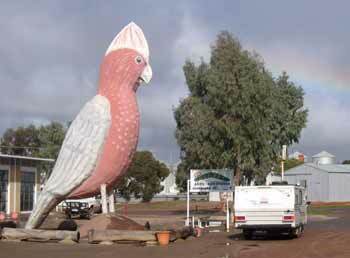 Incidentally, the phrase 'you great big galah' would be a very minor insult over here, meaning 'you stupid idiot'. For some reason, galahs have got something of a bad press over here; I have no idea what makes them the epitomy of stupidity. It's a long way to Ceduna, let alone Perth!